Becoming engaged is supposed to be one of the more magical moments of someone's life. 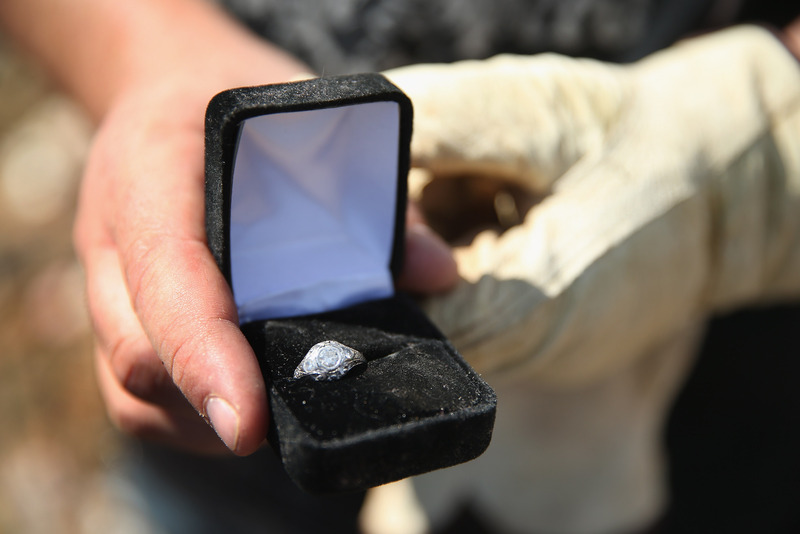 It's the collection of minutes that will determine his or her romantic future, and as such, proposals are often made out to be extravagant, romantic gestures. It's a big deal, so of course that moment deserves careful planning and attention to detail. However, some detail was overlooked during the Today Show's most recent surprise engagement when viewer Chirag Shah proposed to his girlfriend Simone Jhingoor on the New York-based morning show. Shah pulled strings to get Jhingoor, an employee of Bronx non-profit The Women’s Housing and Economic Development Corporation (WHEDco), a segment with Al Roker under the guise that she'd have the chance to shed light on the organization whose mission is her passion (video below). Instead, before she could even utter a few syllables about WHEDco and her work there, Shah interrupted her mid-sentence, grabbed the mic from Roker, and delved into a speech about how he dreamed as a young boy that he'd meet someone like Jhingoor. Sure, on some level, we can appreciate the love he clearly has for Jhingoor; dreaming about a woman like her since he was a youngster is cute. But there's something a bit... off about this set-up. We live in a society in which women don't go to college and find jobs as a means of earning an Mrs. — especially in a city as professionally competitive as New York. Jhingoor was duped into thinking she'd just earned a shot to share her professional success and passion with the entire country, giving her a level of professional validation few of us ever have the opportunity to enjoy. It's a dream come true for any one — man or woman — who's thoroughly dedicated to their work. But before Jhingoor can even utter a syllable about her job or what she does to help the people of the Bronx, she's whisked away to hear a diatribe about her now-fiancé and his boyhood dreams. Yes, Shah praises her dedication to her job and the "incredible woman" she is, but wouldn't it have been more of an expression of her merits to allow her at least a few more moments to actually shine before ripping the dream rug out from under her and making the moment solely about Shah and his dream to marry a great lady? And that scenario would be fine if we're ignoring the part when she was allowed to believe she'd earned this mark of success on her own before realizing it was all fake. It certainly gave her a decent shock and surprise — which seems to be the only way to announce anything of great import these days — but at the end of the day, the headlines read "She Said Yes!" and not "Incredible, Charitable Woman Speaks Her Mind on National Television, Gets a Ring Too." I'm sure these two love each other and that they'll be happy together, and that Shah only had the best intentions and perhaps jumped the gun a tad. (Nerves will do that to a person.) All I'm saying is that their happily ever after didn't have to come in a package that reads like a crossover between Punk'd and the marriage-obsessed Princesses of Long Island. From where we sit, the whole set-up appears to sap the light away from a woman who's clearly so much more than just a wifey.